The answer to this question really depends on how your project is printed, your goals and how the files are built in the first place. So, to know which one is actually good for your projects, it’s important to know the difference. Here’s everything you need to know about spot colour printing. What is Spot Coloured Printing? Spot colour is used by actually mixing ink into the desired colour you want in your print project, as opposed to using the CMYK process to achieve it. A special premixed ink is used instead of process inks and requires its own printing plate on a printed press. This technique works best when only a few colours are needed and when colour accuracy is absolutely essential. Think back to your finger-painting days. We mixed red and yellow to make orange or blue and yellow to make green. That’s pretty much what happens in spot colouring, but more precise. Spot colour inks offer consistency across different print materials which makes them ideal for your brand. Plus, this technique allows you to enjoy a wider selection of colours to choose from than the CMYK method. With spot colour printing, there are also coated and uncoated options. These take into consideration the different properties of coated and uncoated stock to make sure a consistent colour is achieved across a range of products and paper types. The inks used in spot colour printing are based on the Pantone Colour Matching system (PMS). It’s the universal colour matching system that can help achieve 100 percent accuracy and produce the best results. The printer mixes the varying amount of colour to reach the correct consistency and then this is printed directly on to the stock you’re using. With spot colour printing, the elements of your design are printed in ‘spots,’ one colour layer at a time to form a complete design for your print project. Standard spot colour printing allows for up to four colours in your design, but more colours can be added if your print project needs more colours. This depends on whether or not the print company you choose will have the technology to achieve this. If your print project only needs a single colour, then it’s considered a one spot colour printing method. Single colour designs, or even designs with a shade of a single colour, look brilliant when this technique is used. To achieve the shaded look, halftone dots are used to represent the shaded areas of your designs. When more colours are added to your print design, the number of spots that are added increase as well. For example, if the design on your print project has three separate colours, then it’ll be considered a three spot colour print. If there are four colours, then it’s a four colour spot print - and so on. Spot colour printing creates brighter and more vibrant results. In contrast, the CMYK method is used in techniques like four colour printing and has a limit colour gamut. This means there are some colours that it just can’t reproduce to the high standard you’re chasing. Nobody can be blamed for chasing perfection and it’s important that the colours in your print project help to achieve that, especially for projects like logos and identity pieces which will feature your unique colour scheme. Spot colour printing also helps to achieve more unique finishes, such as using metallic inks or adding fluorescent colours to boost vibrancy. Highlighting key areas on marketing materials like brochures, booklets and leaflets. Any marketing material that features your logo to stay colour consistent. Creates brighter and more vibrant results. Perfect for printing projects that don’t need full-colour imagery. Colours are more accurate because you have already determined the colour by its specific Pantone number. As the ink isn’t being mixed, the colour never changes from one print run to the next. Spot colour printing is generally more economical if fewer colours are used. They’re best for brand materials as this technique will produce the most consistent colours across lots of media. The purity of spot colour printing is more appropriate for maintaining consistency throughout a print project. Spot colours are difficult to replicate on digital print devices. As spot colour printing is specialised, you might be limited on the number of colours that can be used on a press and the number of colours in your print project itself. In some situations, spot colour printing can be more expensive. However, if fewer colours are used then the price can be comparable to other techniques. The full colour or four colour process combines dots from each of the cyan, magenta, yellow and black inks to produce a colour. These four inks are combined in different percentages and at different angles to create a range of colours. They're laid down on paper in a dot pattern that translates to a full spectrum of colour to the human eye. As you can imagine, not all colours can be reproduced using this method and if your project is very small, then the appearance of the coloured dots might not be suitable. Spot colour printing is different in the sense that each colour is individual; they’re mixed separately before being used for printing. Using the Pantone standard, you’re able to find a spot colour in almost every colour imaginable, including specialty colours like neon and metallic. So, in contrast to using CMYK where the colour is mixed as the ink dots hit the paper, spot colouring printing features a quantity of ink physically and precisely being mixed from a wide range of base colours - including white. These are introduced to the printing press as a one-off colour. This helps to achieve more accuracy, a solid colour and better consistency. Over the last 60 years, B&B Press has worked on different types of creative projects, some of which use the spot colouring method where needed. We’re experts when it comes to spot colour printing and can offer expert advice if you’re unsure of which technique suits your needs the best. To see some of our work in action, check out how we implemented spot colour printing with the CMYK method to achieve stunning results for Utopia. 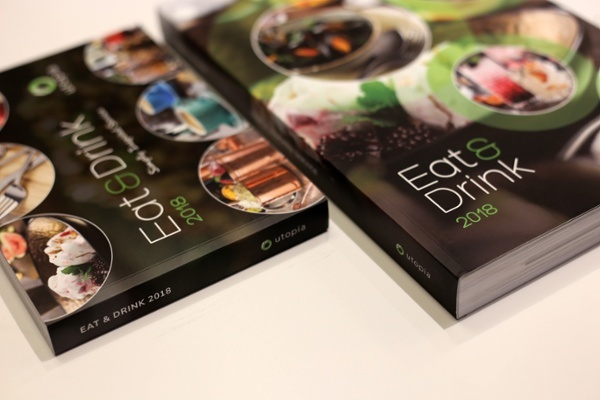 Tableware giants Utopia tasked B&B Press with printing their 2018 Eat & Drink Brochure that showcased their new range of products. As they’re a luxury brand, they were seeking a printed brochure that was going to show just how premium the brand and the products are. 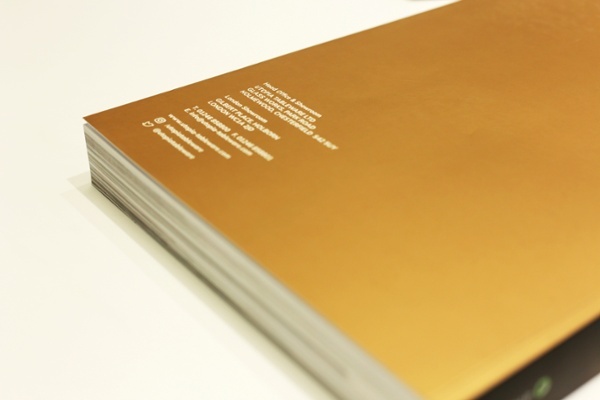 Despite using the CMYK method, we also implemented the use of spot colour printing on the cover and throughout the brochure - while the gold print also contributed towards providing the catalogue with a sophisticated look to make it stand out from the crowd. This contrasted beautifully with the black of the front cover which made Utopia’s Eat & Drink brochure immediately attract attention. This beautiful project for Utopia is just one of our absolute favourite jobs from the last six decades. For more ideas and inspiration for your own project, take a look at what else we’ve worked on in our Job of the Year handbook. It’s packed full of brilliant projects and our favourite jobs, along with the techniques we used. To grab your free copy, click the download link below.